Jam and bread, add it to yogurt, mix it in ice cream, use it to make popsicles, make a cookie sandwich, use as a glaze, top oatmeal with it, slather it on a biscuit…but my favorite way to to eat it is a PB&J sandwich! Anyone who has eaten jam or jelly knows that you… Continue reading A Little Jam is Good! I love Disney movies. I don’t have little ones anymore or I would have known that the new Disney remake of Dumbo was due to hit theaters over the weekend! I’m gonna need a box of tissues for this one! Lo and behold, when I was making my card for today’s Cupcake Inspiration challenge, I… Continue reading Double Trouble! 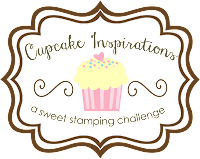 The new Cupcake Inspirations challenge is up and we want you to add a button to your project! Kitty Bee Designs is our sponsor this week and they are generously offering a digital image to our randomly chosen winner. I found this cute digital turtle image in the Kitty Bee Etsy shop and paired it… Continue reading Button Up! Do you remember this song from the movie Dumbo? I’m a Disney movie fan, especially the classics! When my husband and I were in college, my mother-in-law would mail us the latest Disney VHS release along with a box of surprises. My oldest son was 2 years old and he would get so excited about… Continue reading Pink Elephants on Parade!